Why See A Light in the Void? The incredible story of science, 13.8 billion years in the making, takes center stage for this concert hall first. 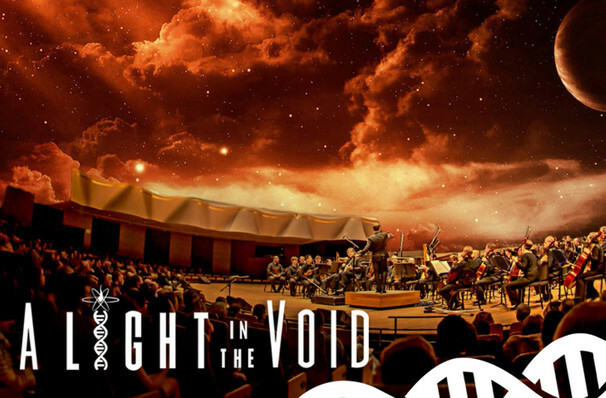 Joining the symphony will be a series of guest speakers, telling the story of our universe in a breathtaking synthesis of science and all-new music. A feast for the ears, eyes, and mind, don't miss what is sure to be an illuminating experience full of wonder and discovery. With original music by Austin Wintory and written by Anthony Lund, A Light in the Void will feature Professor of Physics at Caltech Maria Spiropulu, Professor of Anthropology and Paleopathology at the University of Birmingham, Alice Roberts and Professor of Planetary Science at The University of Colorado at Boulder, Carolyn Porco, shining a spotlight on their subjects, and how they relate to the world around us, past, present and future. Sound good to you? 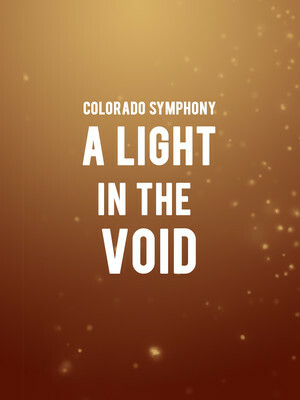 Share this page on social media and let your friends know about A Light in the Void at Boettcher Concert Hall. Please note: The term Boettcher Concert Hall and/or A Light in the Void as well as all associated graphics, logos, and/or other trademarks, tradenames or copyrights are the property of the Boettcher Concert Hall and/or A Light in the Void and are used herein for factual descriptive purposes only. We are in no way associated with or authorized by the Boettcher Concert Hall and/or A Light in the Void and neither that entity nor any of its affiliates have licensed or endorsed us to sell tickets, goods and or services in conjunction with their events.